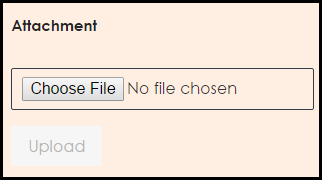 After you have done the transaction (By machine bank in/ cash deposit/ online transfer), please upload your receipt attachment under your order ID. Please make your payment within 48 hours once you made your order. All UNPAID order will be cancelled and deleted after 48 hours. Please note that all items based in first pay first serve, unpaid order are not reserved and may be purchased by other customers. 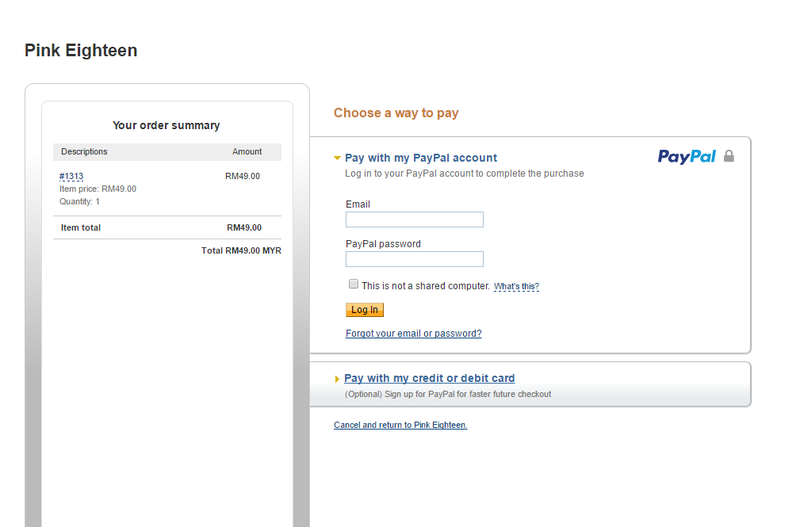 Your purchase is only confirmed when we receive your payment. 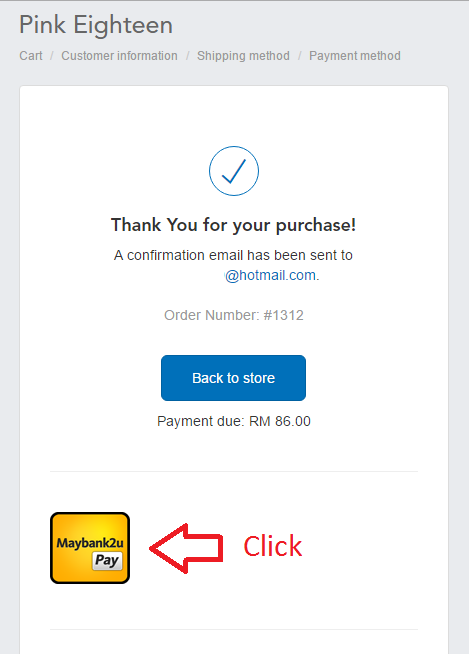 After you have placed your order, click the Maybank2u Pay button to proceed to the payment steps. 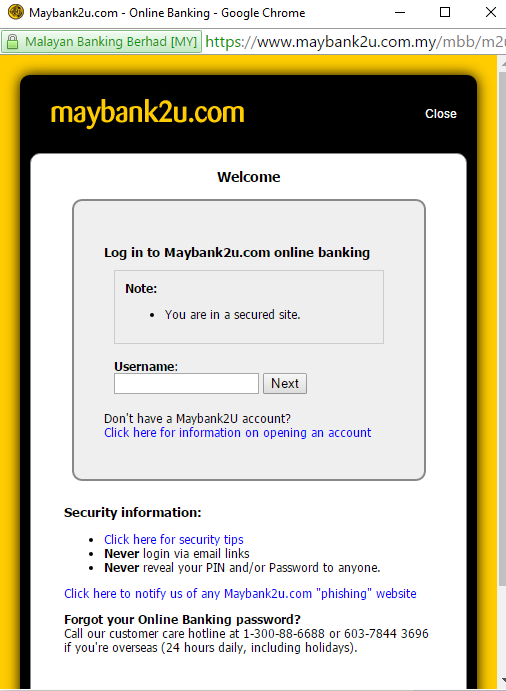 Maybank2u login page will pop up, just login to your maybank2u account and make payment. *Make sure your browser allowed pop up windows. If payment fail, DON'T WORRY! 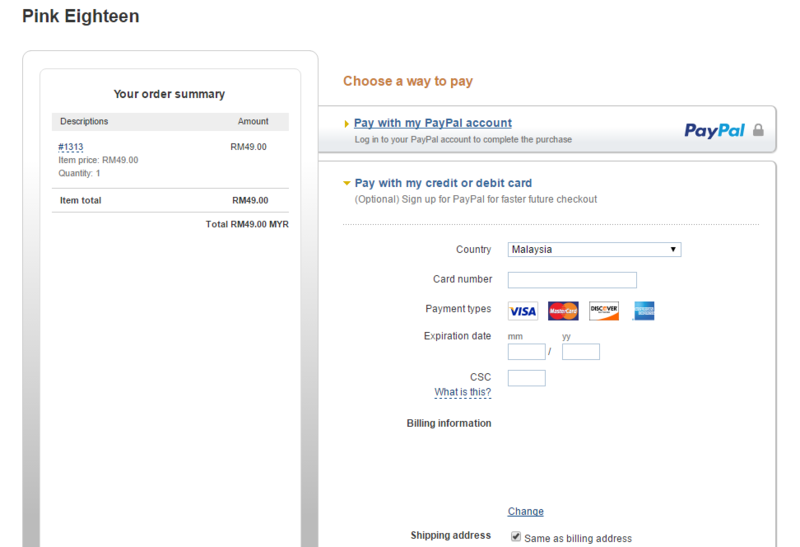 You will be direct to a payment site after you placed your order. Simply choose you want to pay with PayPal/ Credit card or Debit card. Copyright © 2019 Pink Eighteen.